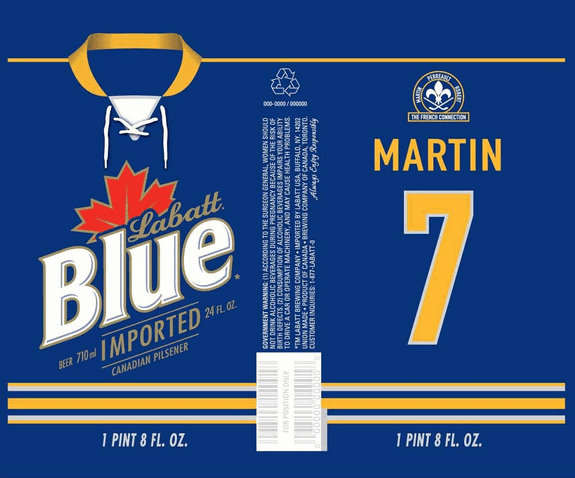 Labatt USA has received label approvals for both Labatt Blue and Labatt Blue Light 24 oz. cans featuring the names and jersey numbers of the famed French Connection. Just in time for hockey season, I’m sure more than several of these will be shared in remembrance of Rick Martin who sadly passed away earlier this year. Considering this was his drink of choice, I can’t imagine a better collaboration.